Schneider Electric updated its fix for its Triconex Tricon, Model 3008 that suffered from improper restriction of operations within the bounds of a memory buffer vulnerability, according to a report from NCCIC. This updated advisory is a follow-up to the original advisory that was published last month. Successful exploitation of these vulnerabilities could misinform or control the safety instrumented system which could result in arbitrary code execution, system shutdown, or the compromise of safety systems. A Safety Instrumented System (SIS) MP Model 3008 firmware versions 10.0-10.4 suffer from the remotely exploitable vulnerability. In the vulnerability, system calls read directly from memory addresses within the control program area without any verification. Manipulating this data could allow attacker data to be copied anywhere within memory. CVE-2018-8872 is the case number assigned to this vulnerability, which has a CVSS v3 base score of 9.0. The product sees use in multiple sectors across a worldwide geographic footprint. 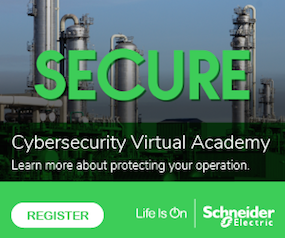 Click here for the Schneider Electric security notification. Triconex users should contact their local Schneider Electric office for assistance. With this engagement, Schneider Electric will gather data from each Tricon safety system installation, analyze for the presence of the malware and carry out any necessary malware removal procedures. For users who choose to gather data from each Tricon safety system installation on their own, instructions and support material is available for download via the Schneider Electric Process Automation customer support portal. The data will still need to be sent to Schneider Electric for analysis. Once Schneider Electric has analyzed this data, Triconex users will receive a report for each Tricon system analyzed. This report will advise whether the malware was detected, and what the next steps are to remove the malware if detected. A YARA rule that matches the binary components of the HatMan malware is available for download or by contacting Schneider Electric Customer Support. HatMan malware specifically targets these vulnerabilities. These vulnerabilities are exploitable remotely. High skill level is needed to exploit.